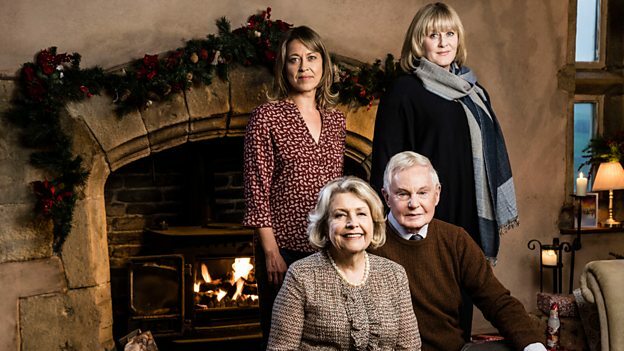 BBC One has confirmed Last Tango In Halifax has begun filming on the two-part Christmas Special episodes starring Sarah Lancashire, Anne Reid, Derek Jacobi, and Nicola Walker. Produced by RED Production Company, and created and written by Sally Wainwright, the series is set two years after Kate’s tragic death. The hour-long episodes will see Caroline (Lancashire) coming to terms with yet more changes in her life. With a new job at a very different school, a new family home in Huddersfield and a chance encounter with a potential love interest, could things be looking up for her and her children? Meanwhile, Gillian (Walker) is struggling to come to terms with the unusual activity that keeps happening in the barn. With issues from her past coming back to haunt her, will she let them affect her relationship with Robbie (Dean Andrews)? ← Pictures: BBC One reveals its Christmas line-up!